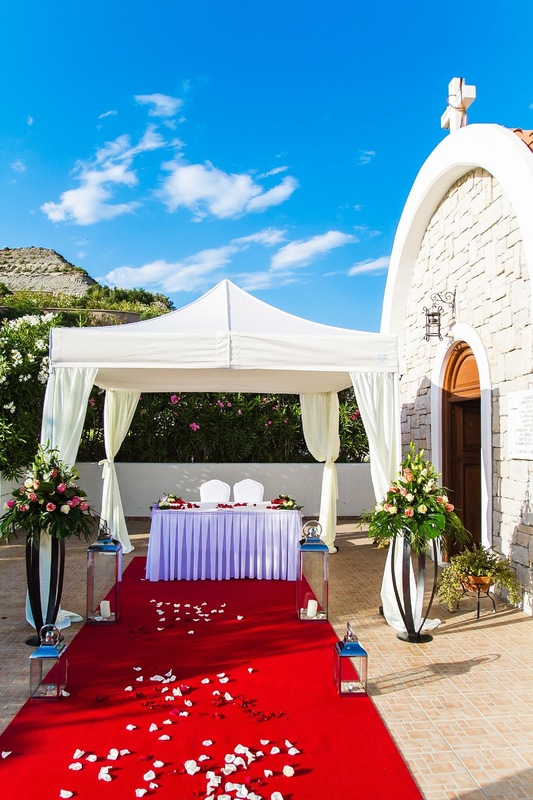 There is no better venue than exchanging vows of eternal love in an impressive wedding reception flawlessly organised in one of the most beautiful Greek islands! We understand that your wedding day is the most important day of your life, but it can also cause a lot of stress and anxiety. At la Marquise, our experienced wedding planners will be happy to discuss your requirements of your dream wedding in Rhodes in great detail & length, relieving you of that stress so that you can enjoy and be able to share this special day with your loved ones. We provide tailor made receptions according to the number of guests, seating arrangements and decorations / theme of your choice or can suggest one of our wedding packages customised to the level of Style & luxury required. And when it comes to your honeymoon in Rhodes, you can rest assured that our luxurious honeymoon suites, fine resort facilities and first class service will ensure that you and your guests are going to have one of the happiest days of your life. For more details on wedding arrangments please contact us. Please note accommodation arrangements need to be made in our hotel in order to host a wedding ceremony or reception. Conditions: In order to qualify for the honeymoon privileges, a wedding certificate not older than three months from date will be required.